Revamped in 2014, when the watchmaker introduced a steel version, the 5960 combines a self-winding flyback chronograph with an annual calendar in a 40.5 mm steel case. Despite what Patek Philippe says in its ads—that you never actually own one of its watches; you’re merely looking after it for the next generation—no one familiar with the Geneva brand’s superior reputation in both the primary and secondary markets would downplay the significance of owning a Patek complication. 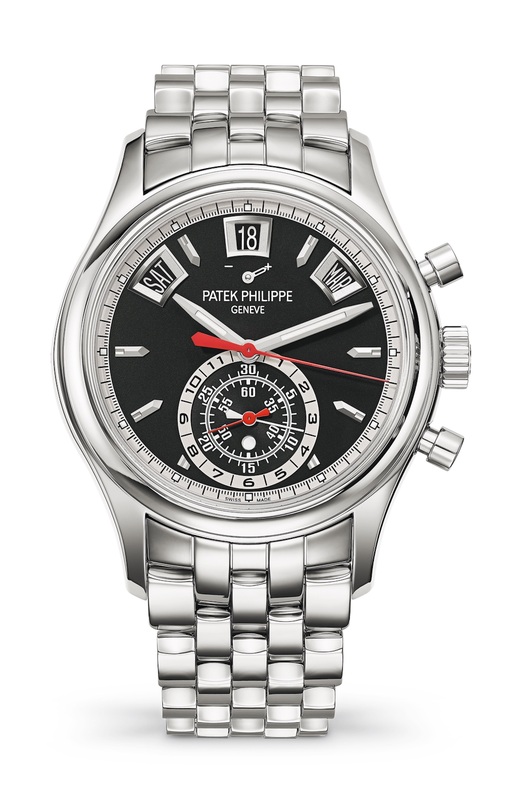 And by all accounts, the annual calendar chronograph, Ref. 5960, offers aspiring collectors the greatest accessibility. Revamped in 2014, when the watchmaker introduced a steel version, the 5960 combines a self-winding flyback chronograph with an annual calendar in a 40.5 mm steel case. The black opaline dial style seen here, presented at this year’s Baselworld fair, gives the model’s sporty appearance a seductive, stealthy edge. Make no mistake, however: Patek’s celebrated history and mechanical watchmaking pedigree are what will truly vault this complicated wristwatch into the hands of serious collectors.